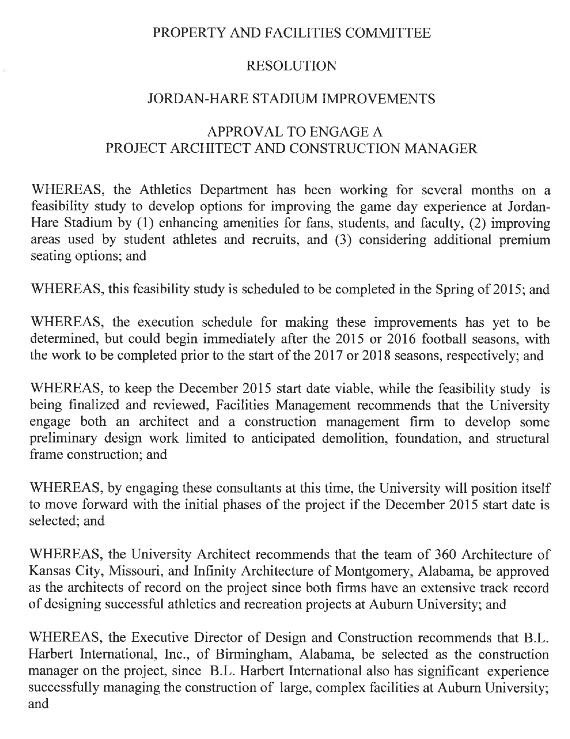 Next Friday, Auburn’s Board of Trustees will yea or nay a proposal for a new 200-foot-wide scoreboard above the south end zone of Jordan-Hare Stadium that would replace the ol ‘Tron in time for the 2015 season. 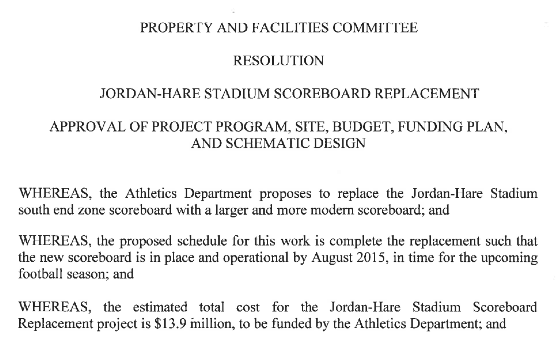 Estimated cost: $13.9 million. 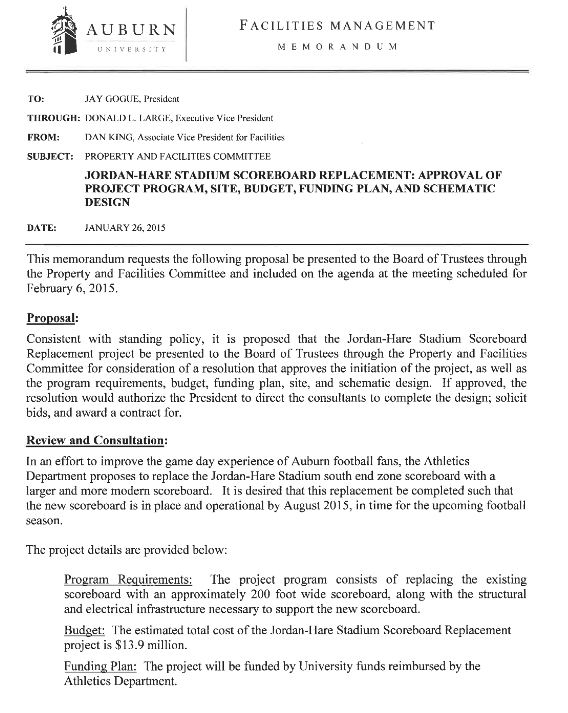 If the university pays for it, the Athletics Department will pay them back. The proposal doesn’t say how, exactly, but that’s what it says. Related: Five Forgotten Fun Facts about the first football game played in Jordan-Hare Stadium.